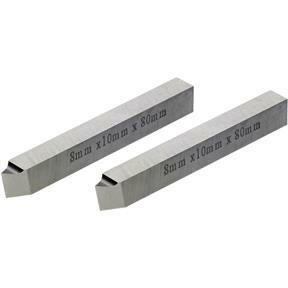 This Set of External Threading Bits are sold in pairs and measure 5/16" X 3/8". These bits are evenly hardened better than 64C. Nothing beats the convenience of pre-ground HSS forms.